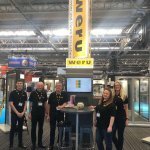 The National Self-Build & Renovation Show marked a busy start to Weru UK’s new year. Our excited team headed for Swindon with the new exhibition display. It was all hands on deck, to ensure our exhibit was completed in time to welcome attendees of the January self-build show. The brand new stand is the first exhibition of Weru window and door products, outside of our showrooms. The NSBRC is a permanent exhibition centre, showcasing a huge range of products and services required for all aspects of self-build and renovation projects. In addition to the exhibition, the NSBRC also hosts 3 self-build and renovation trade shows in January, May & October each year. With over 3000 people, a mixture of novice and experienced self-builders and renovators, the buzz of excitement was tangible. Everyone was eager to discover the latest innovations in technology and design for their projects. Whether it be windows, doors and water systems or paving, tiling and other finishing touches, this event had it all. Therefore, it was definitely the place to be for those building a property from scratch. It’s especially useful for those considering Passivhaus or Eco-home projects. In addition to the wide-range of exhibition stands, various live demonstrations, expert advice and free seminars were also available. Many independent expert advisers were on hand to discuss topics such as choosing structure materials or finance solutions for funding projects. You were sure to find helpful support and guidance here for all aspects of your project. Meanwhile, back at Weru UK headquarters, our quotation team have been busy pricing up the stacks of enquiries we received from the show. They keep on rolling in daily, from the ongoing stream of visitors to the permanent exhibition. Our triple-glazed Weru solutions are a popular choice in the self-build and renovation sector. Their innovative design and high performing, energy efficient qualities make them especially appealing.  You can view our range of German-engineered products here at the Weru website. Thank you to all new and existing customers for your support and engaging with our exhibit at the centre. It was our pleasure to meet such a fantastic bunch of building enthusiasts. We would especially like to thank Mrs Kenwright from Poole, Dorset, for making the trip to the show. The house she bought 20 years ago, came with Weru windows pre-installed in the front of the property. Soon after purchase, Mrs Kenwright used a firm in her local area to install UK manufactured PVC windows, into the rear of the property. Recently these PVC units have started to fail. Mrs Kenwight was astounded, as her Weru windows are still performing excellently. This inspired her to visit our stand in Swindon, to discuss replacing her failing rear PVC windows with Weru triple-glazing systems, as she is confident Weru will provide her with high performing yet cost-effective solutions. Another special mention must go to Mr & Mrs Hill, who visited our stand with their original Weru brochures in hand. Their brochures dated back to their Weru window installation in 1987! Mr & Mrs Hill have also been thrilled with the longevity of their existing Weru windows, they visited the self-build show with the sole purpose of discussing Weru solutions for their extension project. If you like the sound of exhibition, the NSBRC is open with FREE entry every Tuesday to Sunday 10am until 5.30pm* (*Please check the website for Easter opening hours NSBRC Visitor Information). If you would like to experience of the buzz of a trade show, the next show takes place in May. All the fantastic exhibitions, seminars and live demonstrations will be returning to provide you with valuable help and advice on your project. Tickets for the show in May are available now at NSBRC Show Tickets. If you hurry, you can secure yourself some free entry tickets. We’re looking forward to seeing you there!